Bali Butterfly Park (Taman Kupu-Kupu Bali) is a small park, with an area of ​​not more than 1 hectare, with a variety of species of butterflies from all over Indonesia. Bali Butterfly Park is located in Jl.Batukaru, Wanasari village, Tabanan regency of Bali. Approximately 6 km towards the north of the city of Tabanan. And is open daily, from 8:00 am to 7:00 pm. And the ticket was closed at 4.00 pm. As I headed to Bali Butterfly Park, I was confused to find a way to get to the park area. Because of its location in the middle of the plantation, filled with large plants, like being in the middle of the forest. Due to the location of the park is also the sign is very old, it was hard to find. From the highway, we have entered a narrow alley to the west. But in the area of ​​the park, there is ample parking. Calm atmosphere with fresh air, because it is in the middle of the plantation with a very shady trees. I bought a ticket at a price for domestic tourists. Ticket price to enter the butterfly park is reasonably priced. But for me the price is not comparable to the experience gained when entering the park. 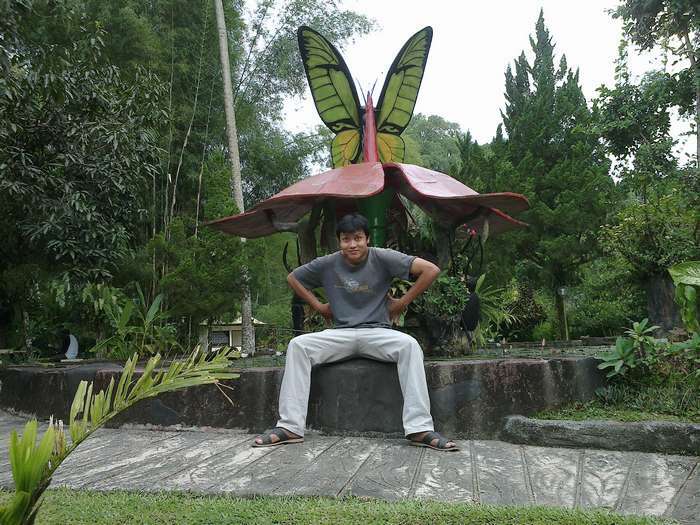 Butterfly Park is an enclosed garden. The entire area of ​​the park covered with nets. In order for butterflies in the garden does not go out the park area. 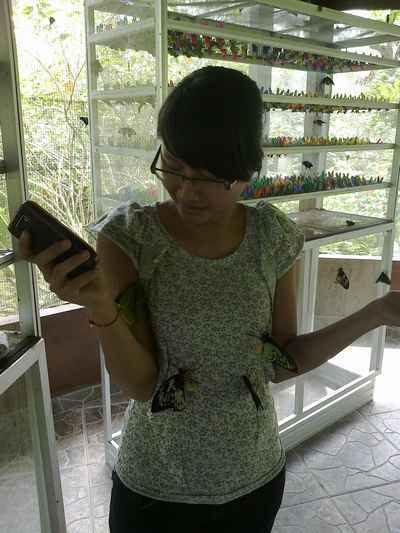 In Bali Butterfly Park, there are many types of butterflies inside. There is also a butterfly breeding. In cages breeding butterflies, there are so many butterfly eggs are ready to hatch. The eggs of the butterfly is intentionally placed in the cage in order not to be disturbed by other insects. 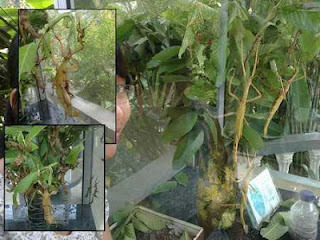 Besides butterflies, there are also other types of insects, such as grasshoppers and beetles. Grasshopper unique and strange, and strange beetle that is sure you've never met. 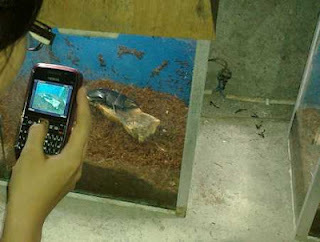 In Bali Butterfly Park also sells a variety of crafts made from a variety of insects. Among others, key chains made ​​from insects, insects paperweight, paintings from the wings of a butterfly, framed butterflies, framed beetles, and more. Every day hundreds of butterflies released a wide range of colors. Bali Butterfly Park, the only one in Indonesia, and conduct captive breeding of butterflies and insects to avoid extinction.